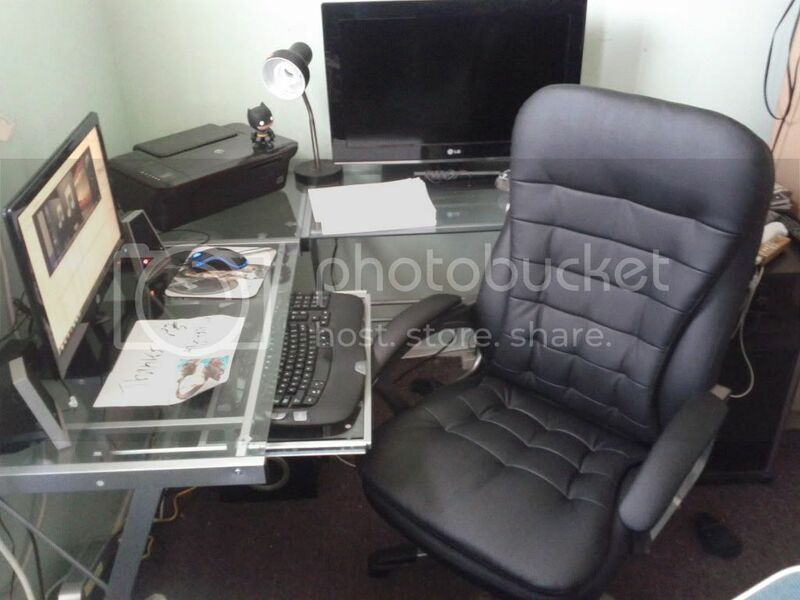 Points2Shop Forums » Proof » Free Glass Desk, Printer and executive chair. Ah that's pretty awesome, your whole desk space. I'm jealous! My chair is poop. lol Nice proof. I had a wooden chair too, with a wooden desk and no printer . Thanks I love the space, now I don't have an excuse not to do hw hahah. whao dude thats so cool! Wow nice your stylin now.